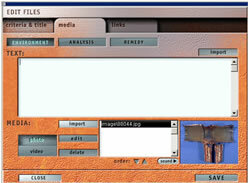 Case studies created by the user can be edited as wished. An import/export module allows the exchange of personal case studies with other users and downloads of new cases from this site. 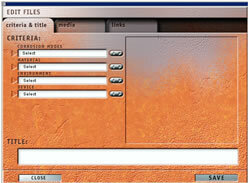 Using the File Management tool, new cases can be added to the Library and gradually enriched, as new information becomes available, in the form of text, images, sound, or videos. 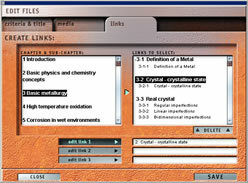 Links can also be added between these personal case files and the various sections of the Corrosion Treatise.